Outdoor advertising and ambient media have grown rapidly over the last few years and they can be extremely effective in reaching people on the move. We’ve made extensive use of their comprehensive formats with our outdoor advertising services including designing and implementing campaigns on 48 and 96 sheet posters, bus backs, taxis and street liners. All Advertising can plan and design your next BIG exciting outdoor advertising campaign from creation of the marketing material such as banners, flyers & billboards to the implementation and execution. Digital signage is the modern day, cost effective way of advertising or communicating with your customers or employees through digital displays. These displays can consist of LCD, LED, plasma display panels, projected images, scrolling message boards and electronic billboards. 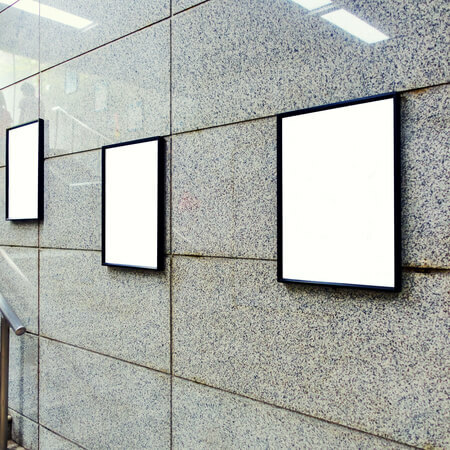 A digital signage implementation can seem like a daunting task to undertake. We work with our affiliate partners to provide a one stop, total solution; from consultation, content design, specification of the system to installation and support.